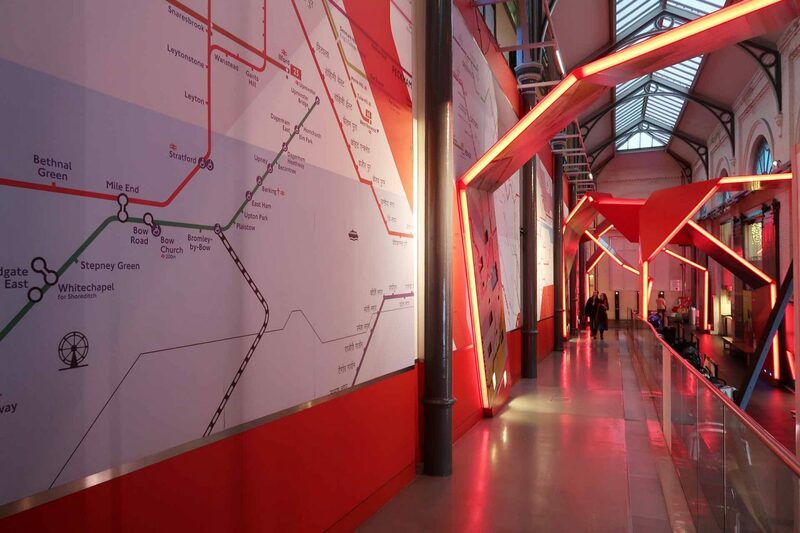 The London Transport Museum is one of our favorite museum in London. 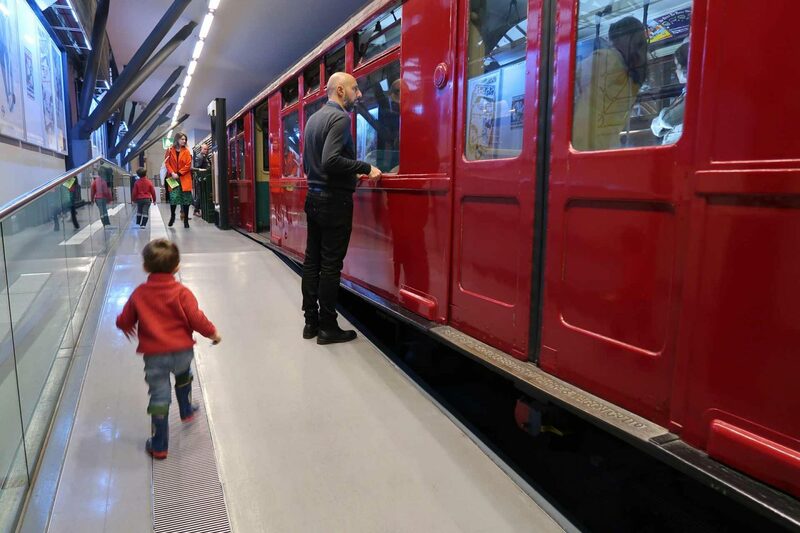 This is a heaven for children that love buses, trains and every means of transport. 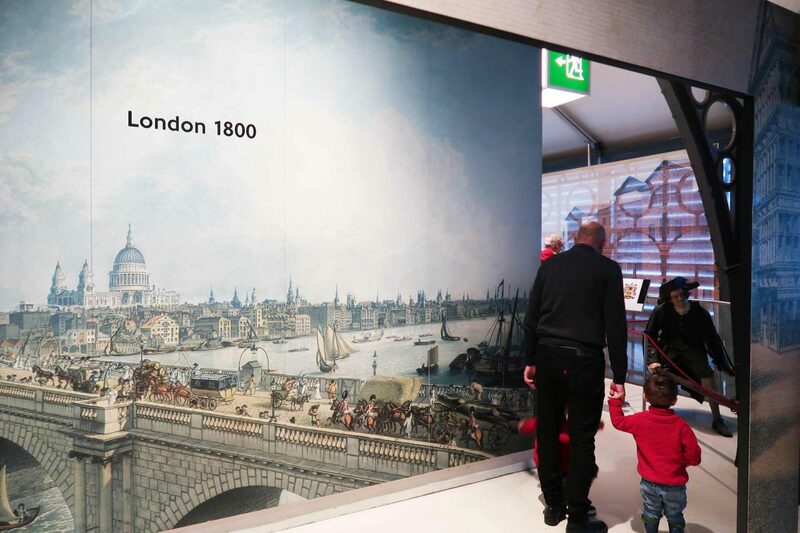 Located in Covent Garden, this museum a must-see especially for families. 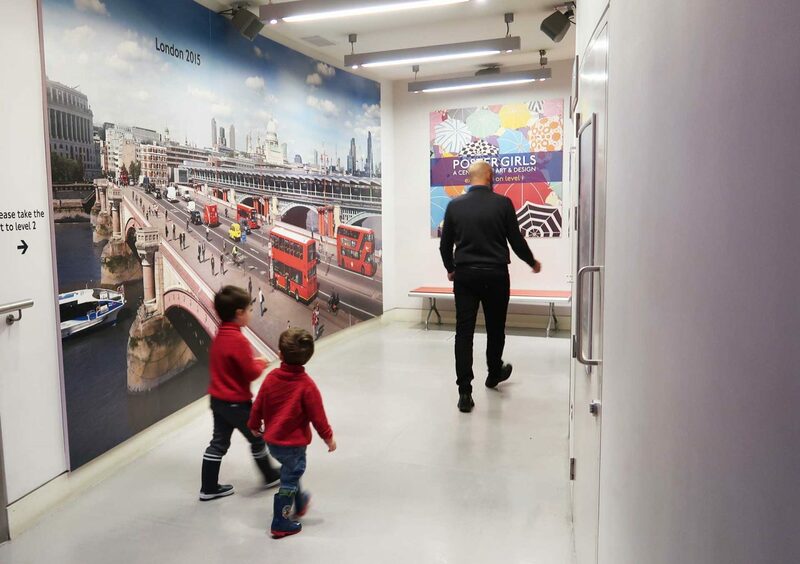 We have been coming since my children were little ones, you can read the full review of the museum with top tips for visit in this post. 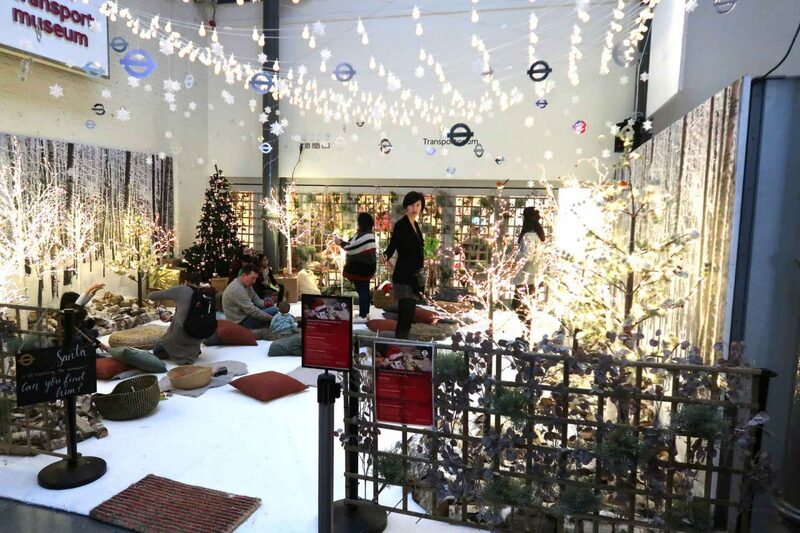 This December you can visit the museum all sparkly and bright, with a beautiful special programme for Christmas season! 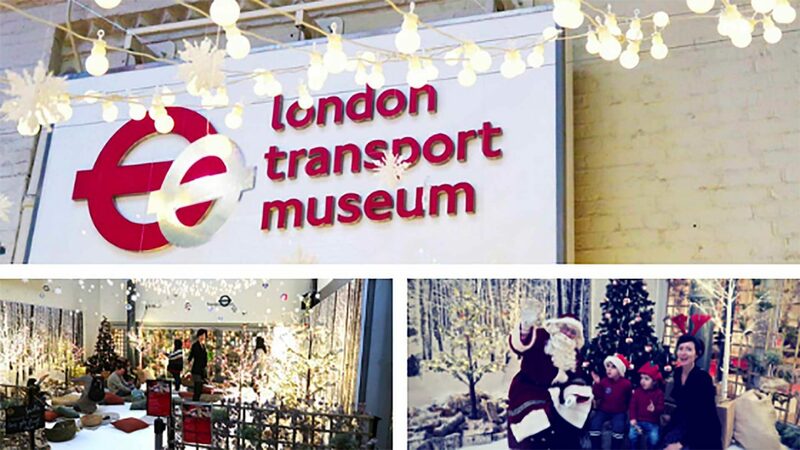 We have been told Santa will be visiting the London Transport Museum this year, so here we are to meet him! The only question to ask, is have you been naughty or nice? 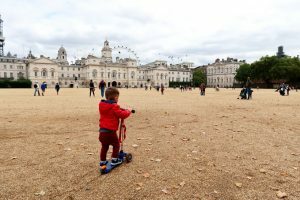 If it’s your first time in London with kids, you might be interested in reading First time in London with kids what to do. We started our visit from the top floor, which will take you back in time, and precisely in the nineteenth century. 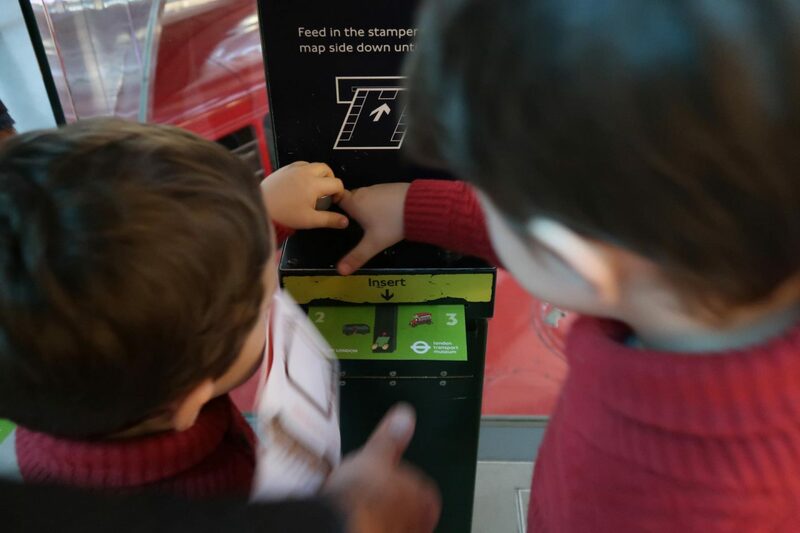 At the entrance to the museum you will be given a map on which children will have to collect stamps around the museum. 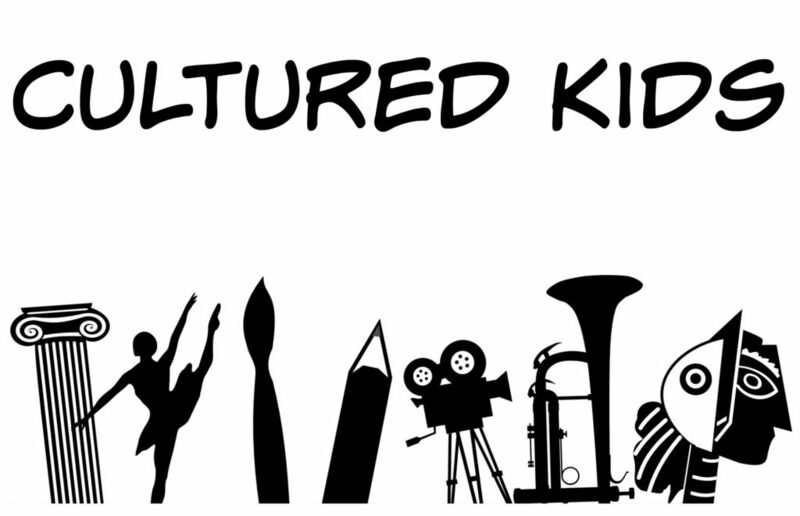 A way to make them actively participating in the visit while being sure not to miss anything to see. 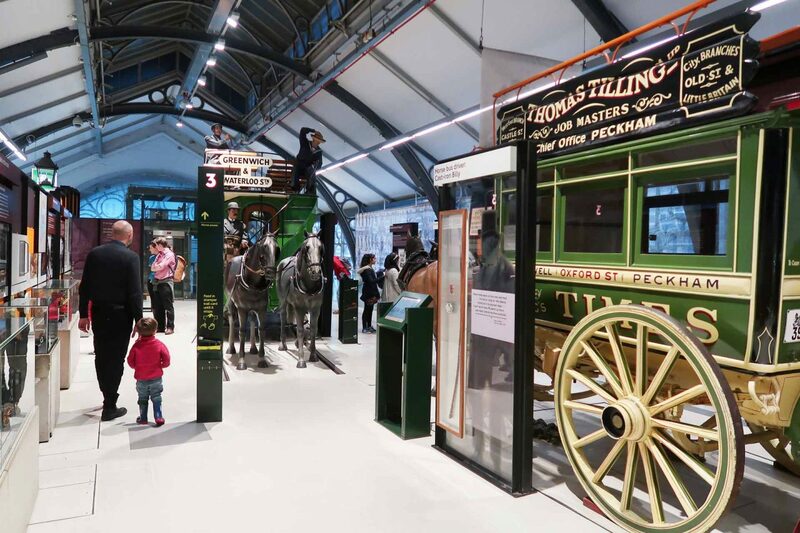 The second floor of the museum brings you back among carriages and old trains. My children were very surprised to see horse-drawn carriages, in fact it must be strange for them to imagine that once people used to have these means of transport! 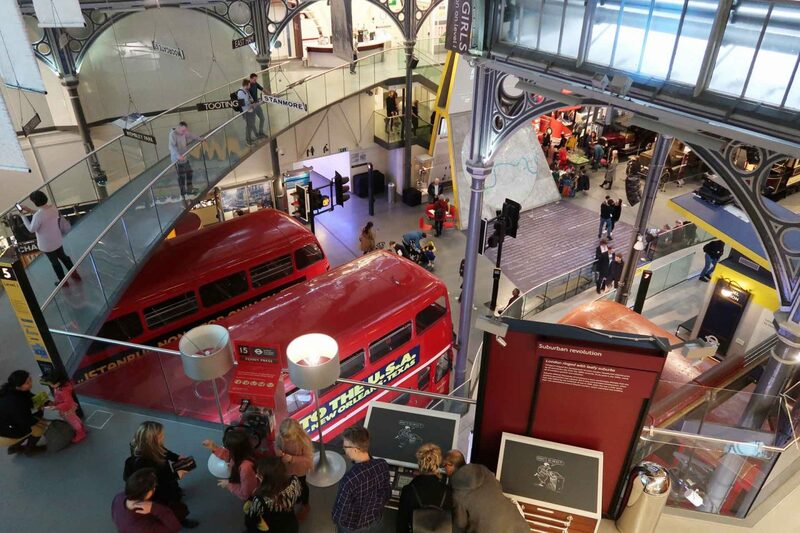 On the ground floor of the museum, various buses, trains, carts, tubes and taxis, from the 19th century to the present day. My children’s favourite activity was climbing in and out of the various means of transport. 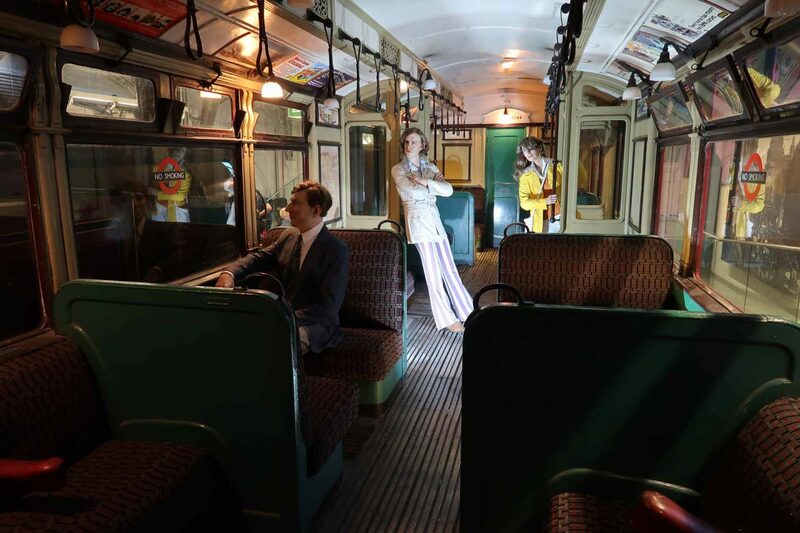 There are buses of all sizes, old and modern, you can even pretend to drive turn on the lights. 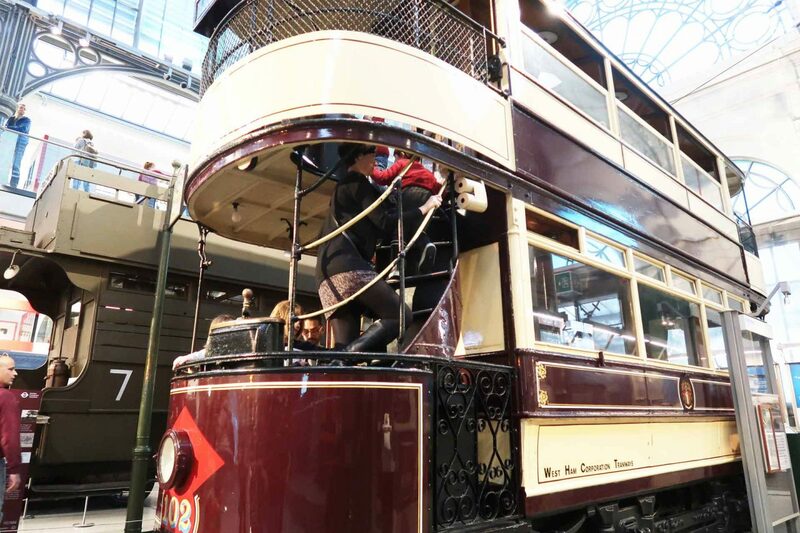 Or you can get in a vintage trams! Obviously on two levels! There is also a play area designed for children up to 7 that was great to keep kids entertained for a while. 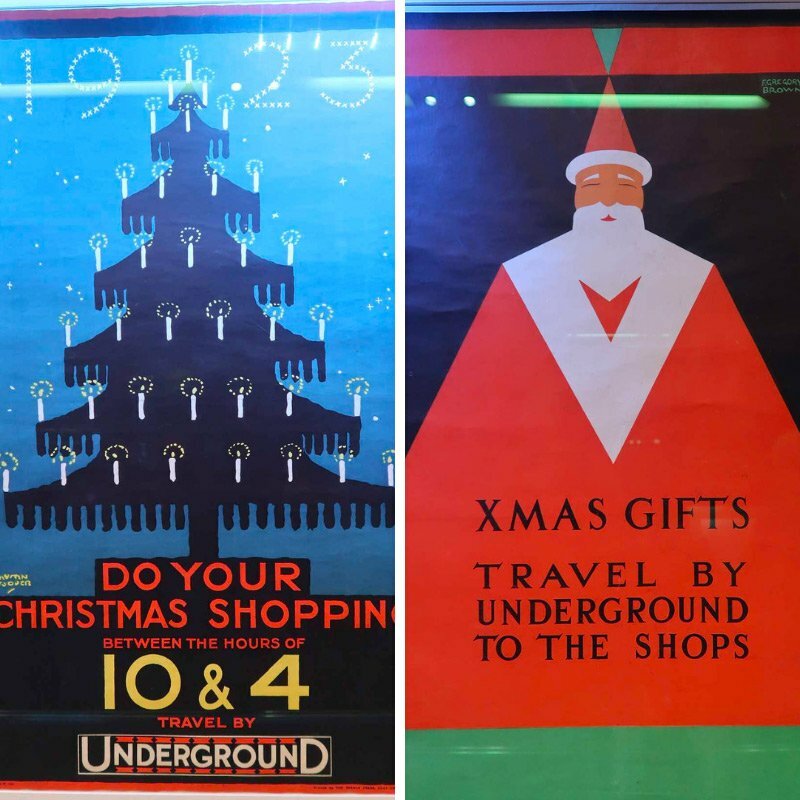 We were getting around the museum, while my children shouted “Look mum! Father Christmas is there!”. So we went to meet him and my children were so happy to talk to him. We took a picture and they were given a nice badge as a gift. 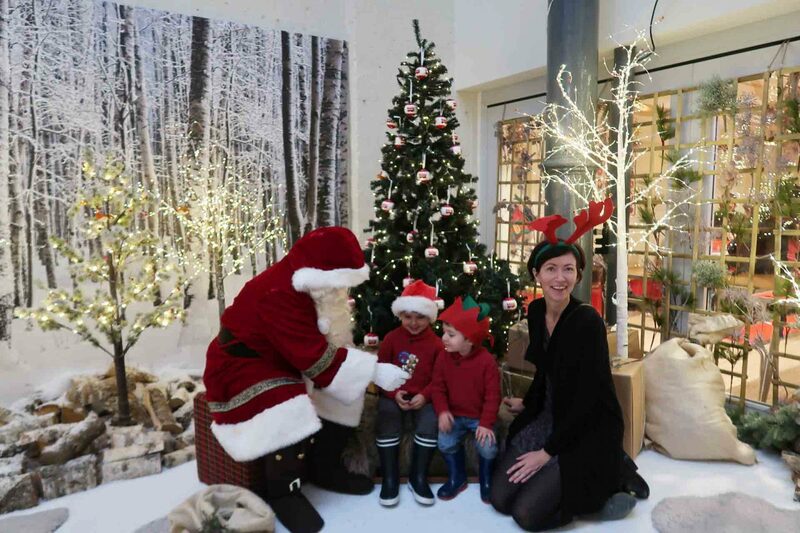 We continued the visit, but then we met Santa again on the ground floor, in the special festive corner of the museum, a magical forest, with twinkling lights and trees. We took a second picture of course! We didn’t wait for more than 5 minutes and I am happy we have a photo with Father Christmas, the three of us together! 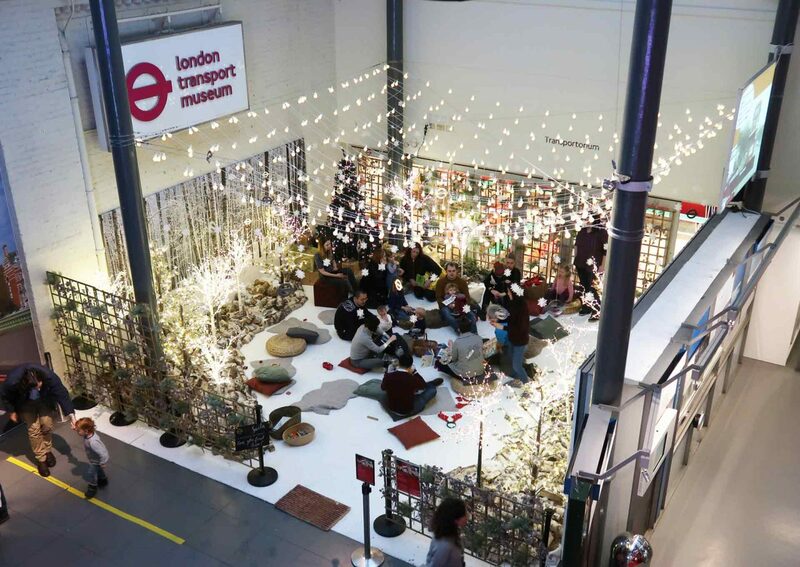 You probably know how can be crazy to book and meet Santa in London. I found this visit perfect, and special also for this. 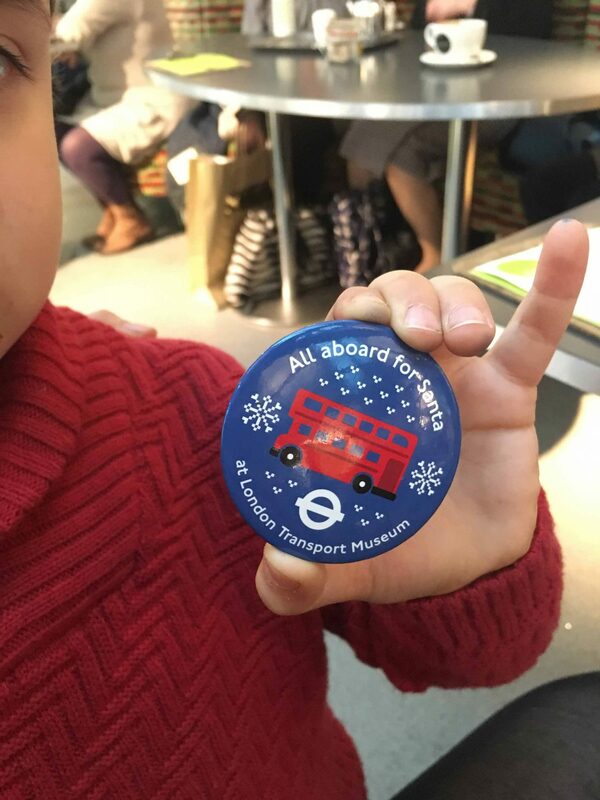 Then we had our craft session: we created some Christmas decorations using London’s iconic roundel, bus, tree and jumper shapes with a variety of crafty and sparkly materials. 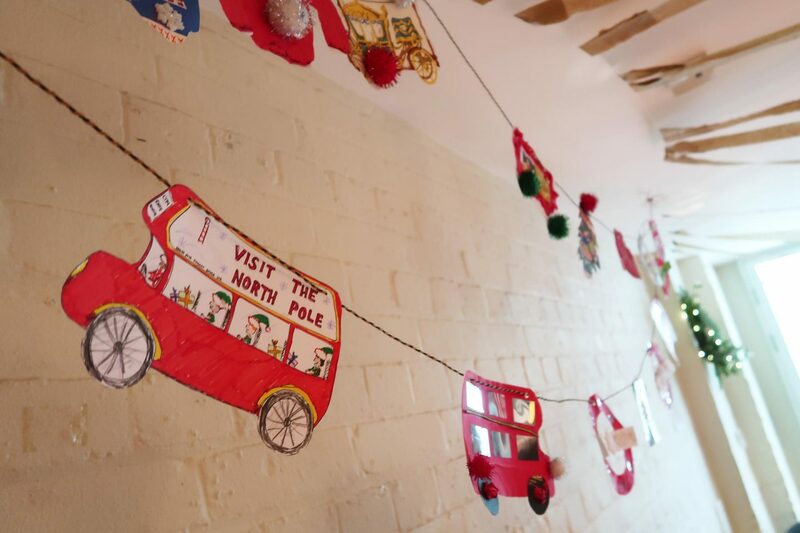 We spent there a lot of time as my children were enthusiastic to be able to create buses as special bunting to take home. Just outside the craft area, we then enjoyed a nice storytime. The final stop of the visit was the shop of the museum: i really suggest to take a look as it is well stocked with nice gift ideas. There are many transport themed toys, which can also be a great souvenir to take home. On the second floor of the shop there is also the cafe. 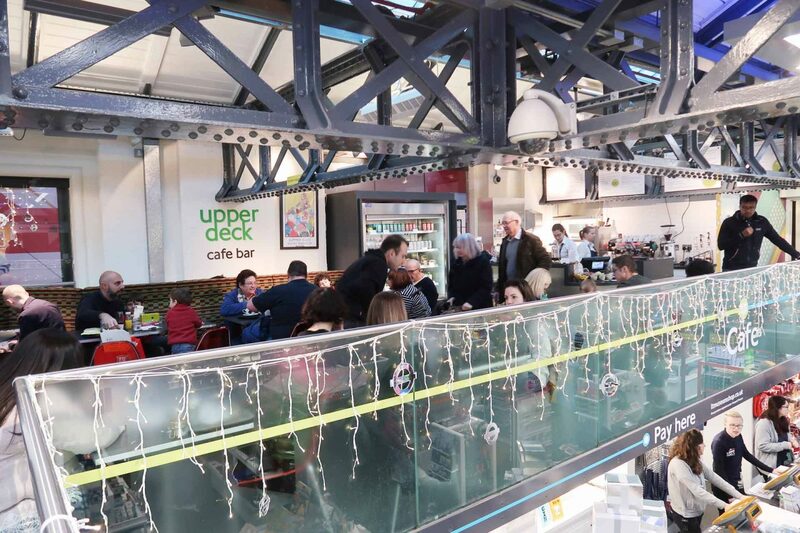 The prices are very cheap considering that we are in Covent Garden, also there is a children’s menu full of 3 different proposals. 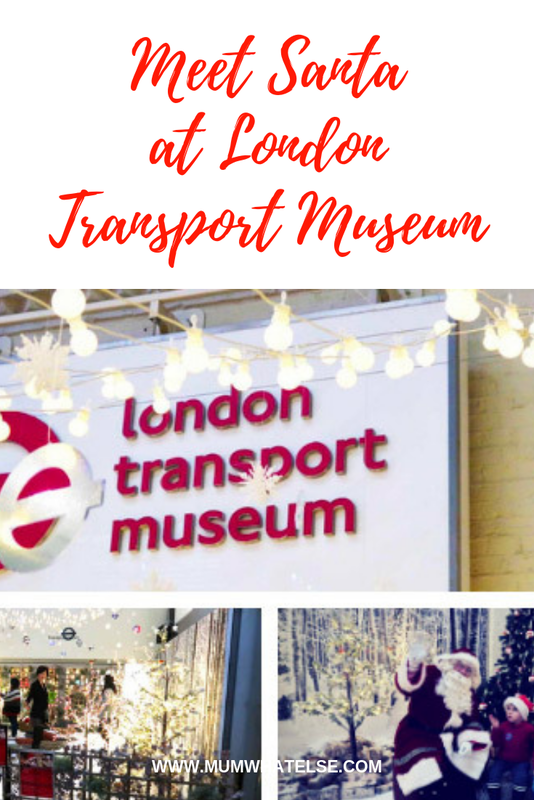 If you are in London during Christmas season, you might be interested in 10 top things to do in London with kids during Christmas, and our review of Christmas at Kew Gardens. 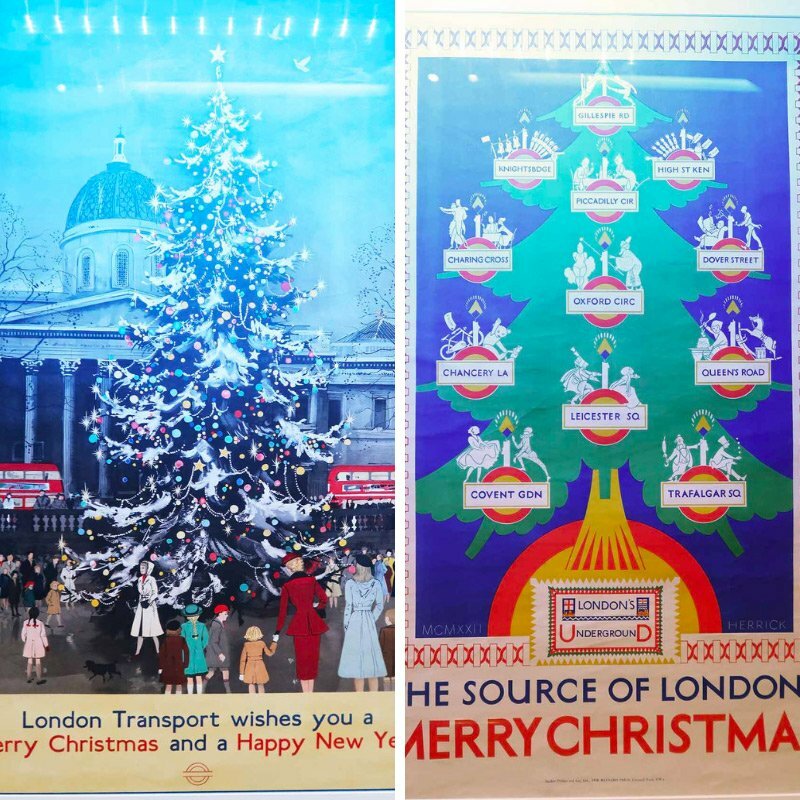 I was a guest of London Transport Museum, but as always, all views are my opinionated own. 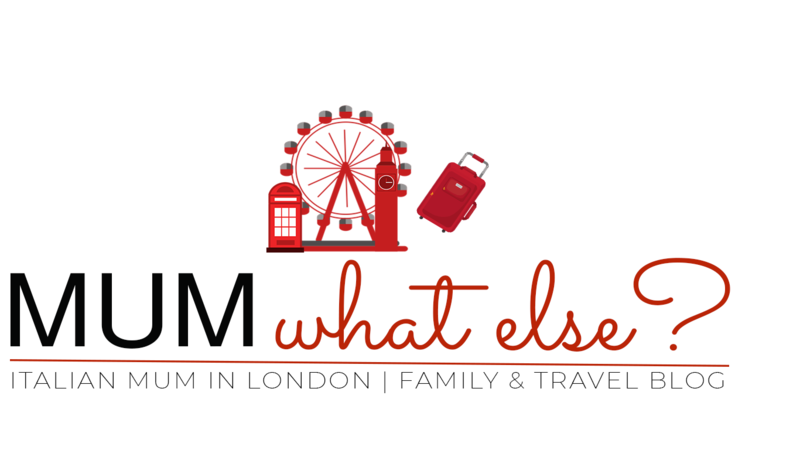 Previous Post How to get around London with kids: Oyster card, Travel card or Contactless? Ma questo museo è fantastico! 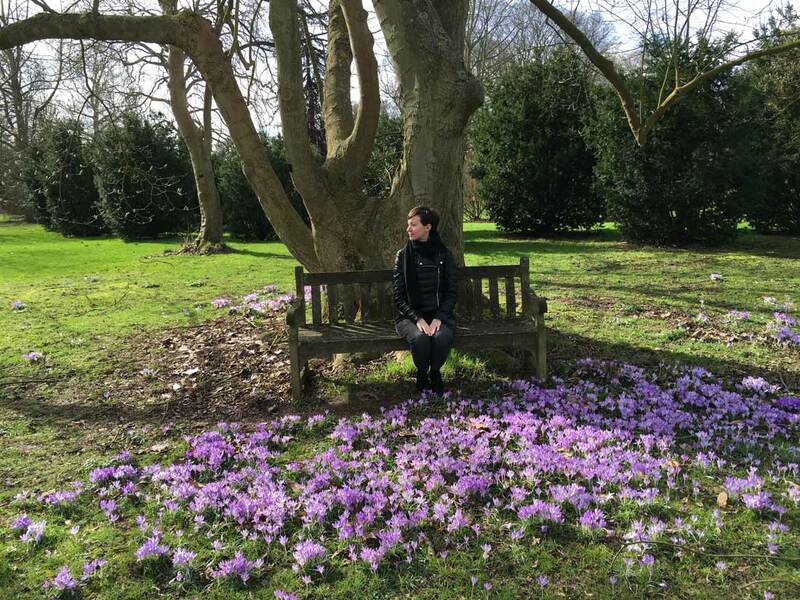 Me lo segno per la prossima visita a Londra, a mio figlio piacerà da matti! Mia figlia ha paura delle persone travestite 🙂 però il museo deve essere bellissimo.